In a post-apocalyptic world of vampires vs. humans, Yuichiro brings vengeance upon his vampire overlords! 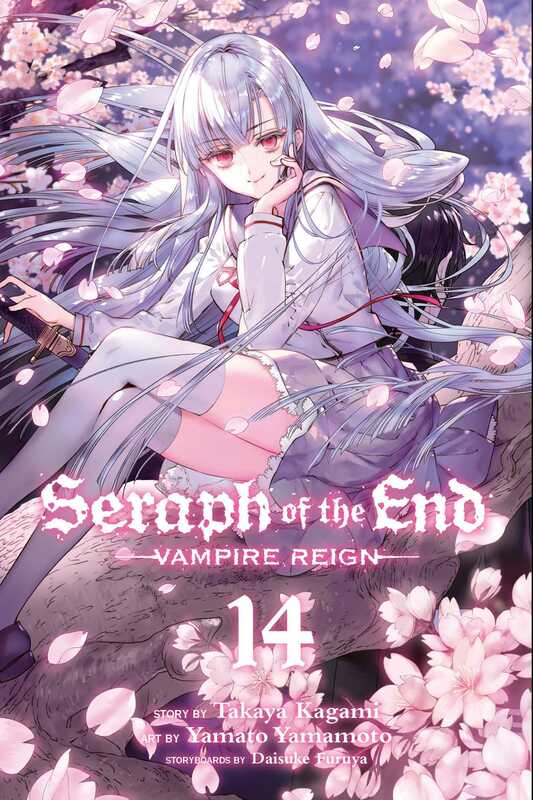 Ferid Bathory and Krul Tepes have been captured by the other vampire nobles and the members of Shinoa Squad are forced to bide their time while the two vampires are sentenced to days of exposure torture. And what better place to wait than in Ferid’s own mansion in Osaka? Meanwhile, the Demon Army is gearing up for a coup in Shibuya, but Guren has a plan of his own that involves Yuichiro.